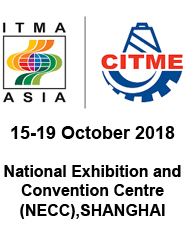 PREVIEW: Since 2008, a combined show known as “ITMA ASIA + CITME” has been held in China, scheduled to take place every two years. Taking off in Shanghai, the milestone event features the unique strengths of the ITMA brand and China's most important textile event -CITME. 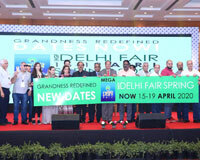 This move to combine the two shows into one mega high-quality event is strongly supported by all nine CEMATEX European textile machinery associations, CTMA (China Textile Machinery Association) and JTMA (Japan Textile Machinery Association). The sixth edition of the combined show will be held from 15to 19 October 2018 at the new National Exhibition and Convention Centre (NECC)in Shanghai.